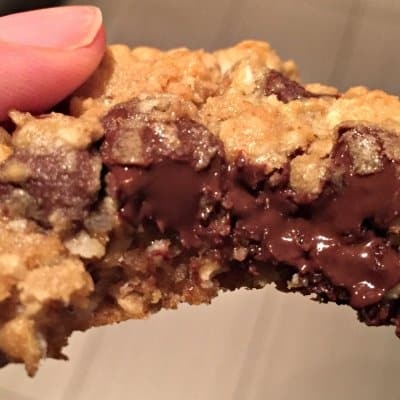 Chocolate chip oatmeal cookies are amazing. Even a bad chocolate chip cookie is better than most things but this is NOT a bad chocolate chip cookie. Nope, it is so good that it is in the OMG realm. it is so chock full of deliciousness that I dare you to try to eat just one. Evan gave them two thumbs up and so did everyone else who tried them. Okay, now I think I need to make them again. Ack! 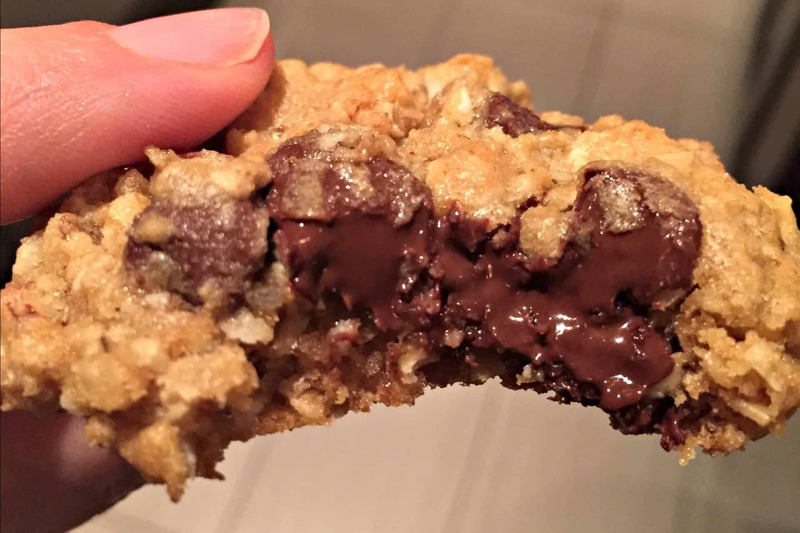 The best oatmeal chocolate chip cookies! Preheat oven to 350 degrees and line cookie sheets with parchment. Combine butter, sugars, eggs and vanilla in your mixer bowl and combine with paddle attachment until creamy. Add oats, flour, coconut, pecans, baking soda and salt and blend until just combined. Scrape down bowl. Set bowl in the freezer for 5 minutes. Using a large cookie scoop or tablespoon, scoop dough into 2" balls onto prepared cookie sheets. Bake for 11 - 13 minutes or until just browning around the edges. Remove from cookie sheet and let cool on a cookie rack.